Swipe is a collection of modular components and layouts for building an instant messaging services where users can transmit both text and video messages, and may exchange digital documents such as images, text, and video. 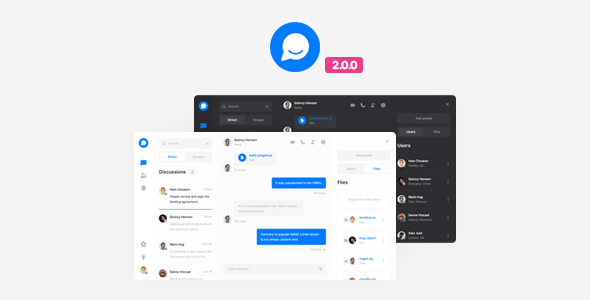 Swipe makes building instant messaging interfaces simple with a variety of utilities intended to help speed up development of your chat application. Note: Images are only used for demo purpose and not included wih the download bundle. All images are replaced with placeholders.